MAURIZIO BORTOLETTI is Colonel of Carabinieri Corps. Particularly interesting, there are recent activities carried out: when was appointed to the top of Public Healthcare Company in Salerno (the most complex in Italy, with 9000 employees, 1 million people assisted, 11 hospitals and dozens of local structures), after statement of Italian Government for economic disruption with losses more than 700.000 euro per day, current losses from 2008 over 830 million euro and total debt over 1,7 billion euro; as advisor to Minister of Public Administration and Innovation (Government 2008 – 2011) in the matter of transparency and integrity with regard of the prevention of corruption and others illicit against Public Administration; as chief of staff of the first start-up and establishment – up to draft the first report to Parliament in July 2014 – of the Directorate-General of the Great Pompeii Project, where, following the approval of the Law nr. 112/2013, the Government has appointed a General Officer of the Carabinieri as general manager. During years before, after the Military Academy, he covered different assignments in Calabria, Toscana, Lazio and in the Triveneto, the last one in Investigative Antimafia Department where he has been assigned to the division responsible for analysis and preventive investigations and where from the January 2006, after the murder of Region Vice President Fortugno, he’s keep busy in Calabria in the Extraordinary Action Government Program. At the same time, after Law Degree (University of Parma), Administration Science Degree (Univ. of Catanzaro ), Political Science Degree (Univ. 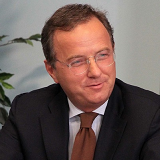 of Trieste), all of them with laude, qualification to exercise the lawyer profession, Master in Business Administration PROFINGEST (School of Management in Bologna), he teaches and have taught in several Italian universities (Catanzaro, Cassino SS. Maria Assunta in Rome, Roma Tor Vergata) and have published numerous articles and books on insecurity, deviance, crime and fear topics.